Young creative moms are ready to do anything in order to emphasize individuality of their kids among peers! 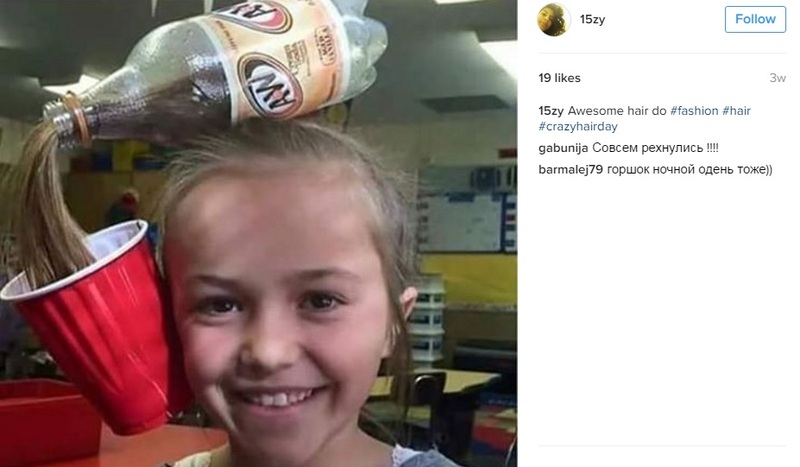 For example, they can braid hair into plastic bottle. But sometimes such crazy things are taken up instantly and become real trends, which will be detailed in our Popsop’s study. 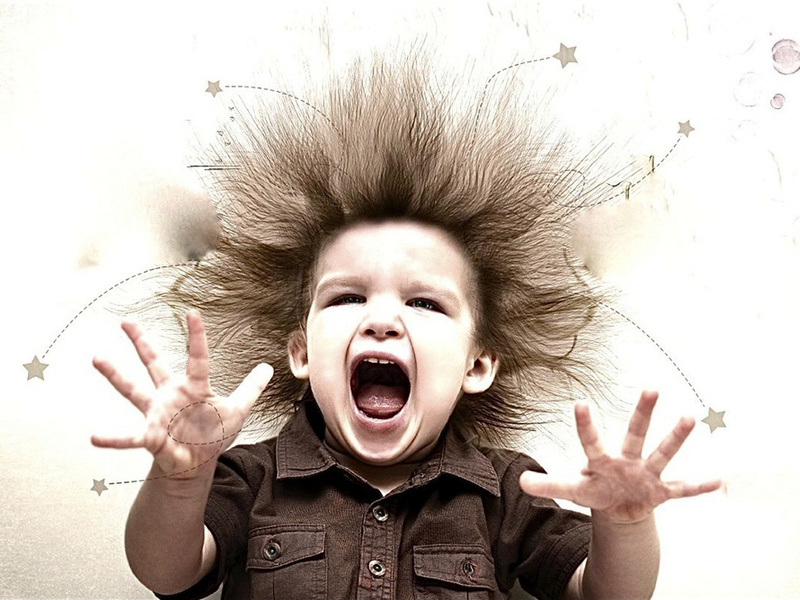 It began on “Crazy Hair Day”, which is celebrated annually in all West schools and kindergartens. At this bright event which allows pupils to distract from school routine, parents (mothers, especially) show all their artistical abilities and employ imagination to invent the most incredible hairdress and decorate it with everything they can find, making hair of kids colorful and fantastic. This event has become favorite for primary school pupils. The initiator of bottled hair fashion is twitter user “Lil Ugly” under nickname @_0k4y. 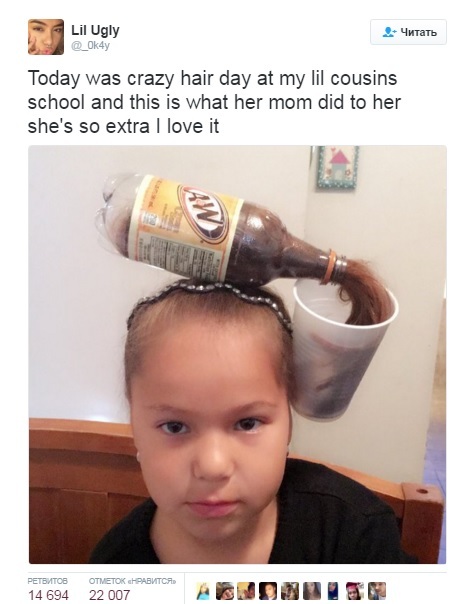 She published her cousin’s picture with such hairdress. Consequently a new brand called “Thirst quenching” has been spread among social networks. Each parent tries to embellish and add something new to extraordinary hairdresses. And the more unusual and weird hair construction looks the more fun do they get. 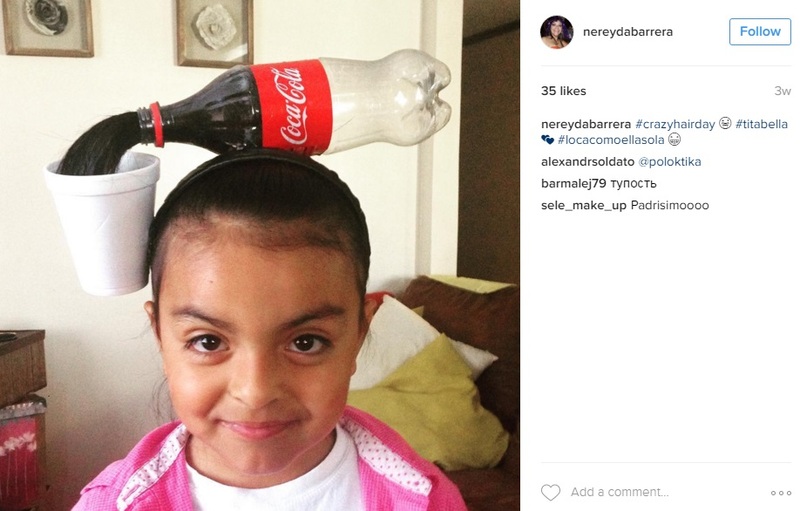 Somebody, for example Nereyda Barrera (Instagram @nereydabarerra) combines trends with brands; they think that “flowing hair” from coca-cola bottle, looks better than everything else. The same opinion has Rosie (Instagram @ rosie.doppido). Needless to say, that all networks have been overflowed by girls’ photos with ponytailed hair on top which was inserted into plastic bottle from cola or another drink. Then hair is “flowed” to glass attached on head side. By the way this trend is gaining popularity among stylists also. For example hairmaker Dannie (Instagram @dan_0_myte) published modern child hairdress with her prior works. 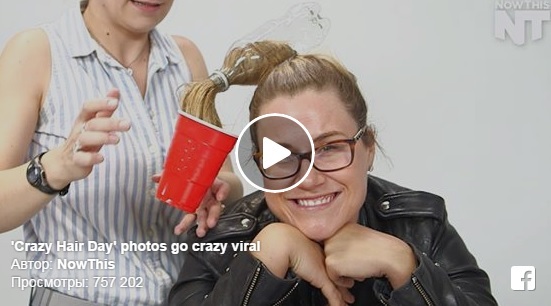 And there is a master-class video on Facebook: how to make such hairdress on heads of not only kids but on adults. It means that trend is gaining new adherents of another age. Thus hairdress made once for kid celebration has become famous and real modern trend not only for school girls but also for women, stylists and hairmakers. 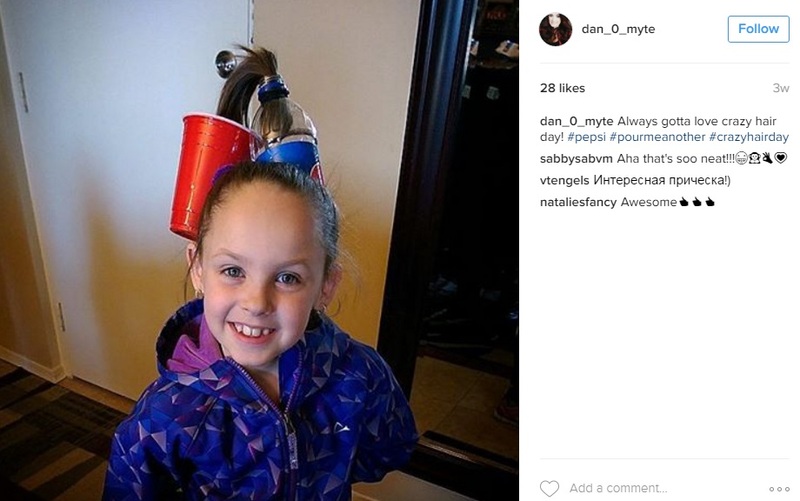 Moreover it is a PR and so-called “lifehack” for Coca-Cola and Pepsi, which bottles now are often used as hair accessories. Posted in Fashion, Trends. Bookmark the permalink.